Art comes in many different forms. Many are quite familiar while others are quite unique. SAMSKARA falls in the latter category. Samskara is an immersive Art Experience taking place in Wisdome – a new immersive art park in the Arts District. Wisdom L.A. is dedicated to presenting the avant-garde transformational experiences and unforgettable events in a unique Los Angeles Arts District where five domes will be set up. 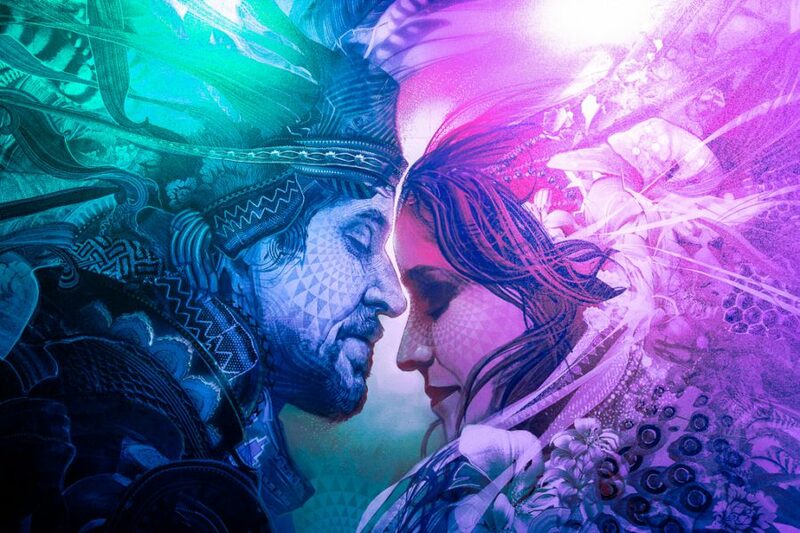 The works of transformational artist Android Jones. Samskara includes: Full dome mapping projection show, Android Jones art gallery, Microdose interactive VR experience, multiple selfie zones all located in the new multi media immersive art park. SAMSKARA is the scope of experiences which we collect through our life journeys: the infinite flow of feelings, actions, ideas, choices and emotions. There’s good samskara and evil samsara. Sounds intriguing doesn’t it? I can’t wait to experience it this weekend. Tickets are valid for entry anytime during operating hours and can be used for any dates. They are closed on Monday and Tuesday. Friday, Saturday and Sunday there are special events that are part of the Samskara After DaRK SERIES. To find out more or to purchase tickets go to Wisdome.la or on instagram Instagram.com/wisdome.la. Tickets are $29.00 for standard and $19.00 students. The park is located at 527 Colyton Los Angeles. Now if you like a more traditional type of art there’s the yearly L.A. Art Show at the Los Angeles Convention Center which I’ve been going to for the last ten years and it never disappoints. The 24th annual LA Art Show is back with hundreds of innovative exhibitors displaying thousands of provocative pieces from January 24th to January 27th. Founded in 1995, the L.A. Art Show has grown into one of the most diverse international contemporary art shows. The show has over 20,000 square feet of space dedicated to making it the largest art fair on the west coast. This year the LA Art Show will feature 120 galleries each with its own unique theme ranging from contemporary and modern art, ink paintings, historical pieces, pop art and photography. The show also features the work of local and international artists alike. This is an incredible event not to be missed. Place: The Los Angeles Convention Center – West Hall 1201 South Figueroa Street, Los Angeles, CA. For tickets go to LAArtShow.com. After looking at some exciting art what could be better than to be entertained by a legend…Sir Elton John. Elton John’s Farewell Yellow Brick Road is definitely going to be an unforgettable night of entertainment. He will be performing Friday evening at the Staples Center. His two and a half hour performance promises to be vintage Elton in the sense that he will be reminding us of what a consummate showman he is. The Friday show starts at 8:00pm. The Staple Center is at 1111 South Figueroa Street Los Angeles. For more information go to StaplesCenter.com. After seeing some great art and listening to some amazing music, a great way to end the weekend for me is to see a play and that’s exactly what I’m going to do. The play is HIR at the Odyssey Theatre located at 2055 South Sepulveda Blvd. Los Angeles. HIR written by Taylor Mac and directed by Bart DeLorenzo is a sly, subversive comedy/drama that explores uncharted frontiers of gender. The play is a darkly funny, shockingly absurd and an endlessly surprising vision of a world in transition. Somewhere in the suburbs, Isaac has returned from Afghanistan with a dishonorable discharge only to discover a household in revolt. The insurgent is his mom. Liberated from an oppressive marriage to Isaac’s father by his debilitating stroke and with Max, Isaac’s newly out transgender sibling as her ally, Paige is on a crusade to dismantle the patriarchy. The play was voted the Top Ten Best Theatre of 2015 and garnered amazing reviews. Whatever you choose to do this weekend, make it a fun one.